Alyssa Kiernan is a Speech-Language Pathologist with an emphasis on recovery after brain injury, though all are welcome! 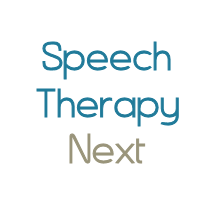 At Kiernan Speech Therapy, we pride ourselves in providing an individualized assessment and therapy plan for all clients. We work with each client to determine what their specific goals are and how to best achieve them. Ross Barrett is a speech-language pathologist in Norfolk, VA. Practice Type: • Medical School Practice Areas: • Speech Language Pathology • Fluency and fluency disorders Take the next step and contact Ross Barrett for a consultation in Norfolk, VA or to get more information. Patrick O'Brien is a speech-language pathologist in Elizabeth City, NC. Practice Type: • Hospitals Practice Areas: • Speech Language Pathology Take the next step and contact Patrick O'Brien for a consultation in Elizabeth City, NC or to get more information.